There are many Blogs which talks about SAP ABAP System (ERP/Hybris ..) direct connectivity to Cloud Platform Integration. 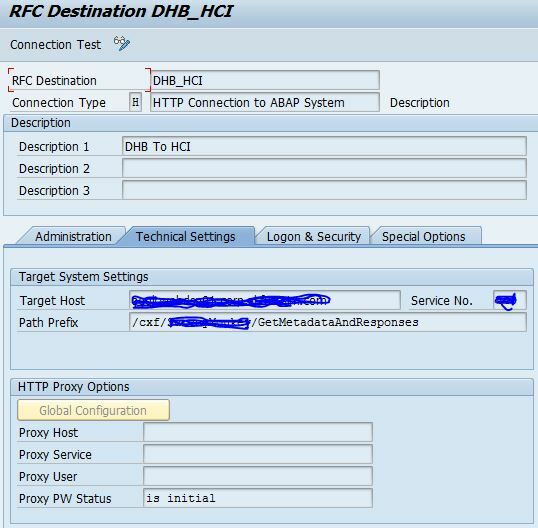 This blogs will help you out how to setup ERP connectivity with HANA Cloud Platform Integration using Webdispatcher. We have the below 3 options to integrate. All are supported by SAP. We all know The SAP Web dispatcher lies between the Internet and your SAP system. It is the entry point for HTTP(s) requests into your system. SOAMANAGER Services : Creating the logical port which the program calls. 3.2) Login to your tenant link and download the certificate as below. Make sure you download all the certificate include (root and intermediate). change the authentication from user based to client certificate and import the SAP Webdispatcher CA signed client certificate in to each iflow. But when you execute the program which call the RFC connection the connection will be successfull. You are not exposing your productive landscape. Very nice document Iliyas… Thanks for sharing..
We are attempting to run this solution for a customer, the difference is we are only going only outbound and not inbound, and the test from ECC to the web dispatcher has to go through a proxy before getting to the WD. The issue is the traffic is not even hitting the Web Dispatcher and stopping at the proxy due to authentication. After running some trace/packet capture we found the username to authenticate with the proxy is correct but for some reason the password we supplied in SOAMANAGER (web service configuration) is not correct and doesn’t appear to be using the password provided. A packet capture helped us establish that the password is a random string or key instead of the supplied password in the proxy config of SOAMANAGER. I don’t understand why we are seeing a string – as far as I can tell the password that is sending to the hardware proxy similar too CB58AB86F2644FA345DB8973256FE6D575AD – instead of the correct password. Does anyone know why ECC tx SOAMANAGER would be sending the string instead of the password? We ran the same test via RFC and this tested successfully WITH the correct password. Apologise for the late reply. In SOAmanager Double click the consumer proxy (standard / custom) for which you want create the logical port. the internet proxy username/ password should be set at sicf -> client-> proxy settings.